Who doesn’t want to live like the stars? They make normal people envious of their access to the latest clothing, technology, cars and custom built dream houses. But even non-celebrities can experience some of the posh life. Design television shows have popularized DIY kitchen design and home remodeling projects and have given us tips and tricks of the trade. Now non-celebrities can experience some of the posh life. Although we still recommend hiring professional designers and contractors to complete the job, it’s nice to have a look at what really goes on behind the scenes especially since these designers have quite the personality. Here are some of our favorite home improvement and kitchen design experts. Meet Jeff Lewis, the zany, outspoken interior designer from Bravo’s Flipping Out. His impeccable home designs are envied by many a homeowner or design enthusiast and listening him dish it out to his business partners and maid Zoila is just a bonus. Although his personality can be abrasive on his show, his designs tend to lean more on the zen and relaxation side, which we love. Meet Design on a Dime star Casey Noble whose realistic approach to home and kitchen remodeling and design is a breath of fresh air. She is the design expert and sunny personality behind the budget-friendly show which focuses on small remodeling budgets. Casey tends to lend her hand to upcycling furniture and other everyday household items to give them a new look. Check out her sunny side up kitchen design. Meet David Bromstad our favorite colorist! 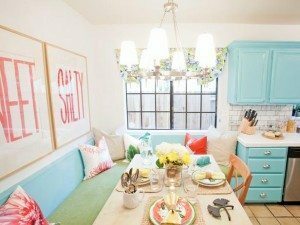 His show Color Splash on HGTV provides the perfect palette for a variety of rooms. His appealing tastes and bold contrasts like graphic details mixed with unique materials give him the edge against his peers. Check out our favorite Color Splash design and his use of red. 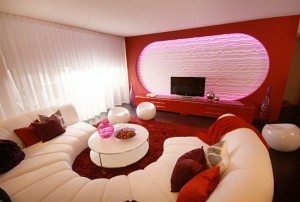 Celebrity designers and home decorating and design channels have made it easier for homeowners to get inspiration and familiarize themselves with new design techniques. Getting your fill of design shows may be more than just a guilty pleasure, it may be useful for your new kitchen design or home remodeling projects as you’ll be able to properly dictate what your needs and want are. For more help, take a look at our virtual showroom or visit our San Francisco design studio.